Hewitt CP160120HABA Aviation Fueling Hose is designed to use with commercial and private aircraft, and recommended for all types of riser deck, reel, and hydrant hose applications. Hewitt Aviation Fueling Hose is designed to use with commercial and private aircraft, and recommended for all types of riser deck, reel, and hydrant hose applications. Hewitt CP160240HABA Aviation Fueling Hose is designed to use with commercial and private aircraft, and recommended for all types of riser deck, reel, and hydrant hose applications. 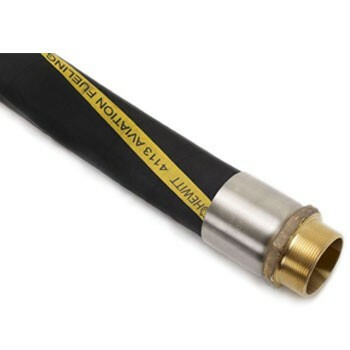 Hewitt Aviation Fueling Hose CP160600HABA is designed to use with commercial and private aircraft, and recommended for all types of riser deck, reel, and hydrant hose applications. Hewitt CP160900HABA Aviation Fueling Hose is designed to use with commercial and private aircraft, and recommended for all types of riser deck, reel, and hydrant hose applications.